Graduating from a private Christian high school I was unsure about my next four years mirroring my last four. My peers were faced with the same dilemma, the question of whether or not to seek further Christian education. Interestingly enough the choice to attend a Christian college was the less cool option, and it would earn eye rolls from peers and looks that said, “Are you serious?” I chose Biola University for many reasons, and the cool factor was not one of them. But why is that? Why is it that the choice to attend a Christian College is uncool or looked down on? For many of my high school peers their ideas of college didn’t line up with Biola’s vision of education and growth. Biola University’s website had no emphasis on parties and the “college years” depicted in movies and TV shows. Friends of mine had friends of friends that knew someone who went there, and they said there were too many rules. And yes, many Christian colleges do have rules. Interestingly enough these rules often align with the law. They also often align with the Bible, which is something attendees claim to follow. Rules are not cool though, and it taints the idealization of freedom that many associate with college. The truth is that the rules Christian Colleges have in place are meant to help the students not hinder. In the same way the Bible sets out guidelines on how to best live life on this earth, the rules at these colleges often allow for a new kind of freedom by following them. They aren’t just put in place by some evil dictator in the business office, or by a committee made up of old people. The rules are made with you in mind, with the best possible college experience for students kept as a priority. The other backlash I faced was a critique of my choice in peers. Students from my high school were sure that sheltered kids would join me in this next stage of life. They’d be naïve and so uncool. I’d have no friends and no fun college experiences to speak of. But people come in all shapes and sizes no matter where you are. The Christian College community fits no single mold. The same might be said of a secular college community. I had plenty of friends who chose a secular college for their continued education. Some found like-minded friends in on-campus Bible studies, others didn’t. Each had their path to follow. It didn’t look like mine, and mine didn’t look like theirs, but that’s okay. 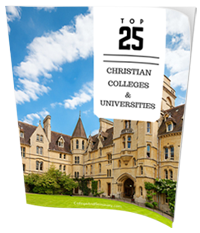 At a Christian College each person is able to find his or her place. Like secular campuses, most of the effort is required of the student. College is what you make it. People who want to spend their weekends at parties can find a party, even on a Christian College campus. People who want to spend their weekends at a Star Wars movie marathon will have no problem finding friends to watch with. 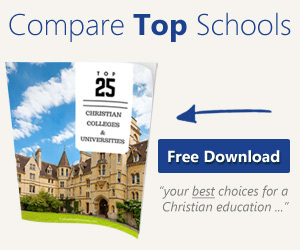 The college experience, even the Christian College one, depends wholly on you. At the end of the day the pros outweighed the make believe cons. That isn’t to say there aren’t real cons to attending a Christian College, but they aren’t the stereotypical ones voiced by critics. Like the church, a Christian College campus is populated with broken people. Also like the church, the Christian College campus is populated with broken people seeking Jesus, and that makes all the difference. Even at a Christian College there is sin. There is also a great deal of space for growth, a space for students to find out more about God and who they are in Him. I’m glad I didn’t let the cool factor guide my decision. My college experience was hardly sunshine and rainbows, and it wasn’t just worship songs around a campfire. I had times of heartbreak and seasons of darkness, but in the midst of that there’s no better place to be than in a community of people with one very important thing in common.